When it’s time to restock your boy’s clothing range, it’s time to check out the wholesale boy’s apparel range at Wholesale Sock Deals! We have an amazing collection of wholesale boy’s clothing here for you, so have a look around and get big bulk discounts on every wholesale case that you buy. Wholesale Sock Deals is one of the biggest children’s clothes wholesale distributors on the web. We have a wide range of trendy kid’s wholesale clothing in our children’s wholesale warehouse, including children's clothing brands wholesale and wholesale boy’s underwear. There are big discounts on offer on wholesale boy’s shorts, wholesale boys school uniforms and wholesale boy’s jeans/pants. We have low prices on wholesale boy’s sweaters, wholesale boy’s bowties, and wholesale boy’s t-shirts. 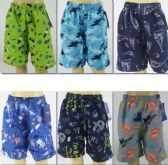 You will also find some amazing bargains on cheap boy’s shirts, wholesale boy’s swimwear and toddler boy activewear. If you have been asking; where can I buy baby clothes wholesale? Or you have been searching for wholesale children’s clothing online. The answer is Wholesale Sock Deals. We are the top bulk children’s clothing suppliers on the web. 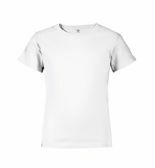 We offer the biggest bulk discounts on wholesale boy’s apparel for children’s clothing stores, discount stores and fashion boutiques. We also offer those big savings to charities and disaster relief organizations. 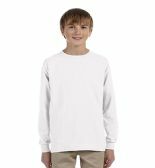 Whether you are buying wholesale boy’s apparel for a retail store, or you are making a donation of boy’s clothing to a charity appeal, the best wholesale deals on boy’s clothes are right here at Wholesale Sock Deals. This is your big chance to save money on all your bulk purchases of children’s clothes wholesale. So, place your order today for wholesale boy’s apparel and start saving money with Wholesale Sock Deals! Wholesale Sock Deals is the number one children’s clothes wholesale distributors. We offer the biggest discounts on wholesale boy’s bowtie, wholesale boy’s shorts, wholesale boy’s sweaters, and on all wholesale boy’s apparel.Order your bulk discounted cases of children’s clothes wholesale and you will save money on every case of boy’s apparel. You will be amazed at the quality of our boy’s clothes, and you will be more than a little pleased with our low wholesale prices! Whether you are donating to charity or a disaster relief appeal, or you are buying stock for retail store, when you buy wholesale children’s clothing online from us, you get the best prices on children's clothing brands wholesale, wholesale boy’s swimwear, wholesale boy’s t shirts, and all our wholesale boy’s apparel items. 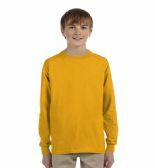 Our wholesale boy’s clothing range includes everything a young man could need. There are wholesale boy’s jeans / pants, wholesale boys school uniforms, trendy kids wholesale clothing, and more. Don’t waste your time looking at other bulk children’s clothing suppliers, the best deals on wholesale boy’s underwear, cheap boy shirts and toddler boy activewear are waiting for you in our children’s wholesale warehouse! The next time you find yourself asking; where can I buy baby clothes wholesale or where can I get great deals on wholesale boy’s apparel, come straight to Wholesale Sock Deals! There’s no time like the present to start saving money! 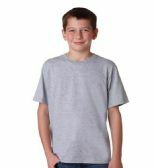 Place your order now for discounted wholesale boy’s apparel and get a bargain deal on all your boy’s clothing orders!